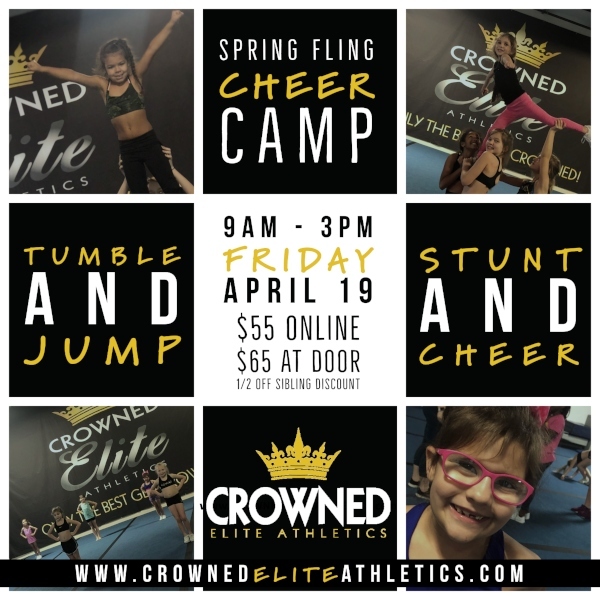 This entry was posted on Tuesday, April 9th, 2019 at 10:27 am	and is filed under After-school activities, Ballet/Dance, Cheerleading, Classes/Programs, Classes/Sports, Fitness/Yoga, Gymnastics, Gymnastics/Tumbling, Spring Fun 2019, Tumbling/Cheer. You can follow any responses to this entry through the RSS 2.0 feed. Both comments and pings are currently closed.